Hello friends, we have a new challenge over at Crafty Sentiments Designs. This week it's anything goes. This week I created a card using Love Basket. This is an A2 sized card and I wanted to keep it clean and simple. I colored the image using copics and added a stitched circle layer behind it. 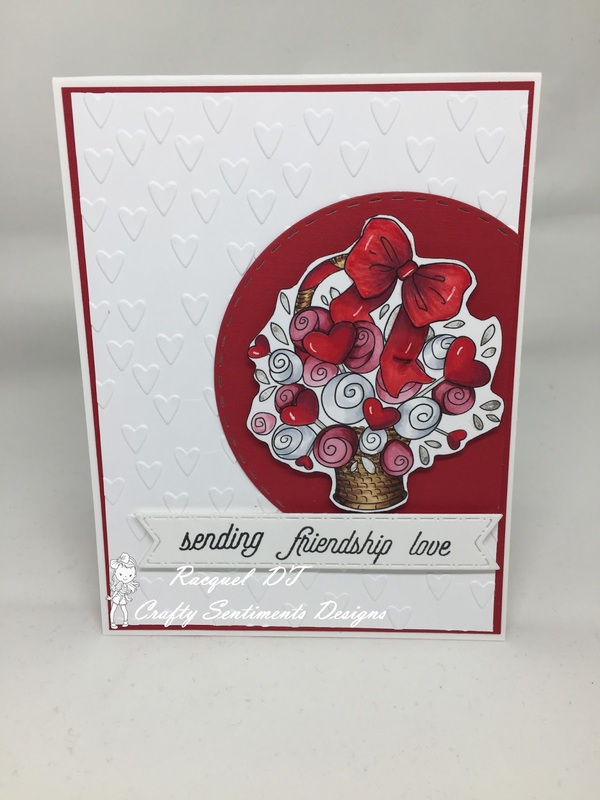 I used a hearts embossing folder from Cricut to create the embossed layer. I finished the card off by adding the sentiment from a hero arts stamp set. Head over to the Crafty Sentiments Designs Blog to check out what the other lovely ladies created for this challenge. You can also join in as well, thanks for stopping by today. Chat with you next time. This card is very pretty!